The UAE is leading an innovative strategic shift in using CCTV from citizen security to Smart City quality of life services. Across the UAE, public and private sector organizations have installed thousands of CCTV cameras. For example, the Abu Dhabi government’s recently-launched Falcon Eye system is monitoring transport infrastructure to better manage traffic flow. As a result, the UAE is a Middle East video surveillance leader – alongside the Kingdom of Saudi Arabia and Qatar, according to a recent report by IT market research firm 6Wresearch. Demonstrating the growth, the UAE’s market is set to reach USD 200 million in 2021, when the Middle East’s market will reach USD 1.8 billion, according to the report. “CCTV has long been used to prevent crime – now the UAE government is among Middle East leaders in using CCTV for more strategic Smart City purposes that enhance quality of life, such as traffic management, crowd control at mega-events, and waste disposal,” said Savitha Bhaskar, Chief Operating Officer at Smart City consultancy Condo Protego. “Ultra-high definition CCTV recordings take up an incredible amount of space to store and analyze. 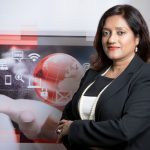 With the rise in CCTV in the UAE, the C-suite needs to plan now with the IT teams on the types of scalable and affordable storage that best meets business needs,” added Savitha Bhaskar. UAE organizations are posting strong demand for Dell-EMC solutions that can manage terabytes of video and support hundreds of cameras at multiple bit rates. 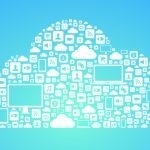 In particular, the Dell-EMC Video Surveillance Solutions provide a purpose-built video storage platform with solutions such as Isilon and VSS for massive scale-out storage.